Noe Valley Noe Valley is a true community of residents and merchants, determined to keep life reasonable. Its relative abundance of sun and handsome, well-maintained Victorians is what attracts families with kids and dogs to the neighborhood. 24th Street, the popular shopping area, is full of upscale restaurants, lively cafes and specialty stores. 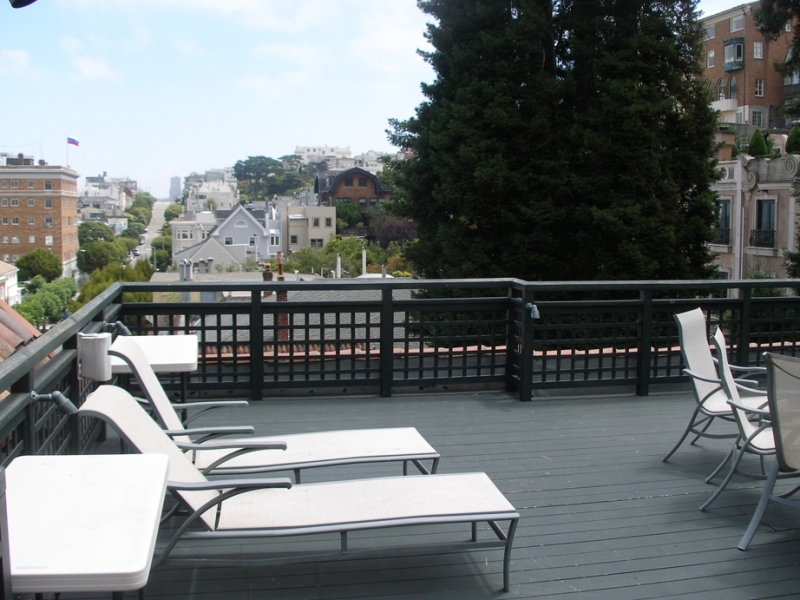 Experience the comfort and the panoramic views from your temporary residence in Noe Valley. 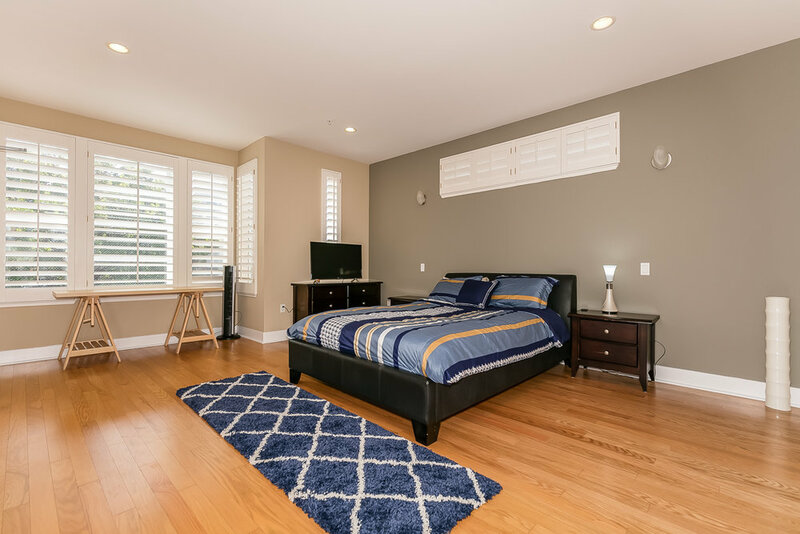 This home features two master suites and beside the great view of Downtown and bay, there is also an incredible view of Twin Peaks off the back. Enjoy the convenience of parking, cable/phone/internet and housekeeping. Washer & dryer are in the unit. Hayes Valley You might consider Civic Center/Hayes Valley to be San Francisco’s living room. 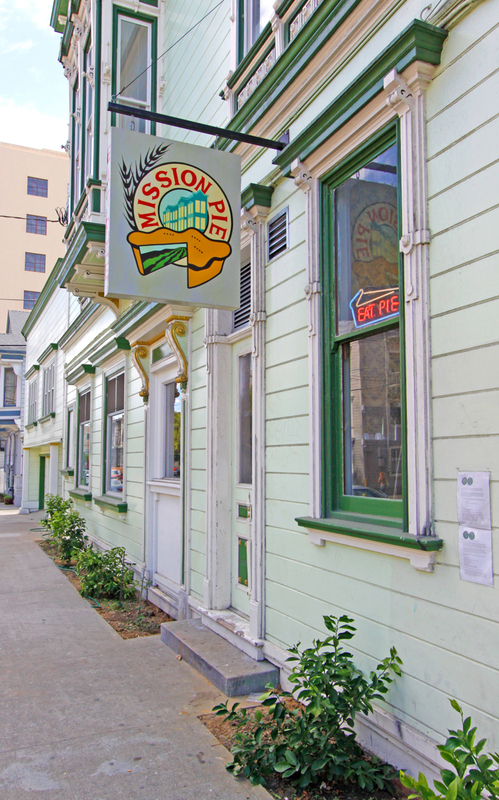 The area around City Hall, which includes Hayes Valley, is full of interesting restaurants that also cater the political crowd and the neighborhoods. Great restaurants include Canto do Brasil, Hayes Street Grill, Indigo, Laurels Restaurant etc. Over the past decade, Hayes Valley has developed into a haven for haute couture. There are trendy fashion boutiques, SoHo-style funky art galleries, high-end interior-decorating shops and hip nightspots. 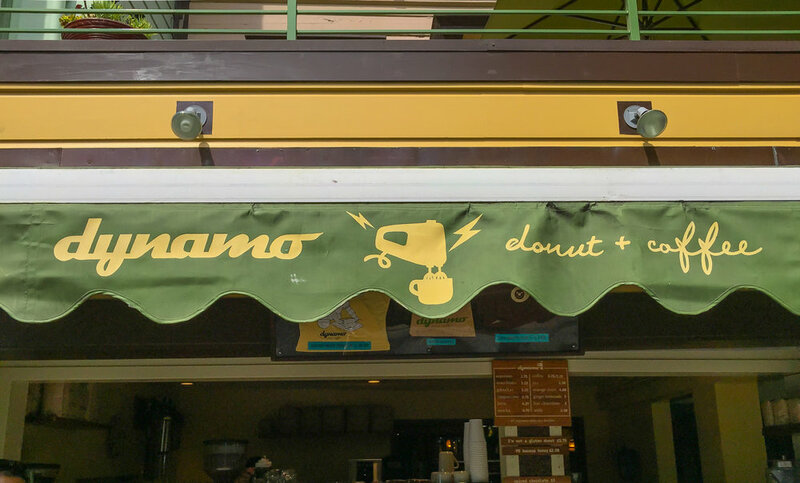 Many of the shops sprouted up in the '90s, making Hayes Valley a real destination spot. The plaza in front of City Hall is a gathering place for everything from concerts to protests. The Bill Graham Civic Auditorium, the Main Library and the Asian Art Museum surround the plaza. Hayes Valley and Civic Center are vibrant parts of The City’s actual and figurative center. Come to see Octavia's Haze Gallery, the RAG--Residents Apparel Gallery and the Tinhorn Press/Gallery. 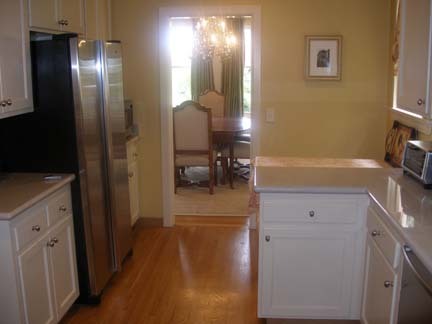 This lovely 3 bedroom with private porch, double parlor, private laundry, garden with garage, and gourmet kitchen. 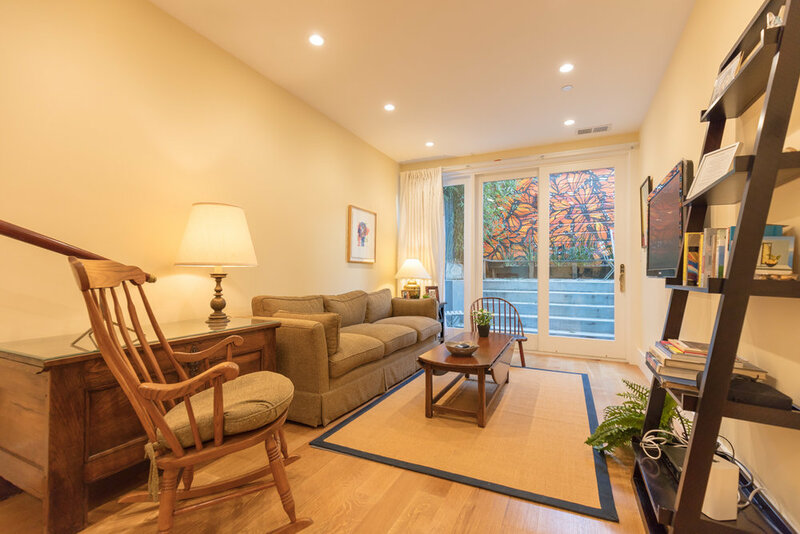 Home is located walking distance to Hayes Street near many great shops and restaurants and very convenient to the financial district. 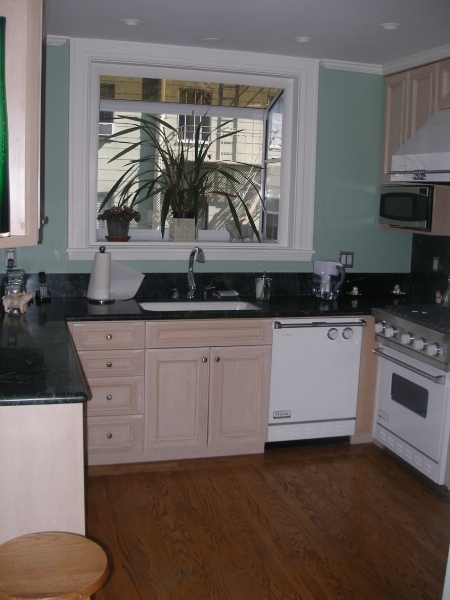 Remodeled by the owner for his own use, great attention has been paid to every detail. 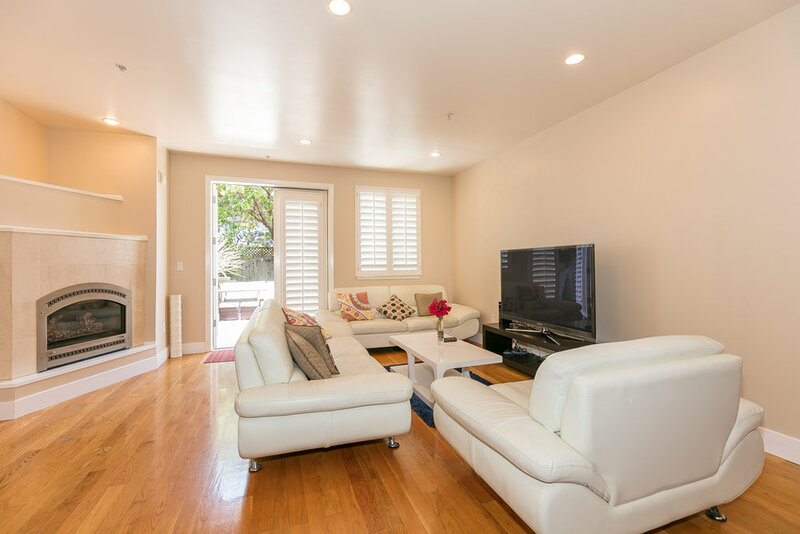 Wonderful 3 bedroom 2 bath in Pacific Heights with approximately 1800 sq ft living space. 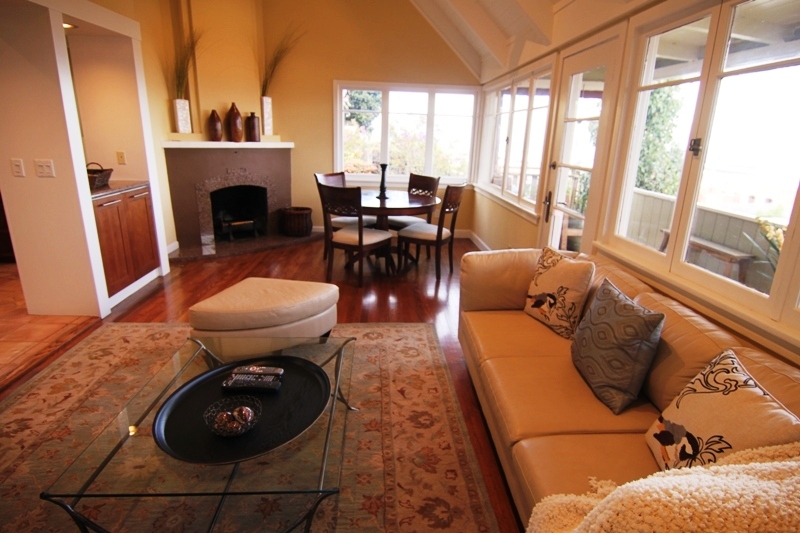 Spacious living room with comfortable leather sofa. Dining room with solid-wood table great for entertaining guests. 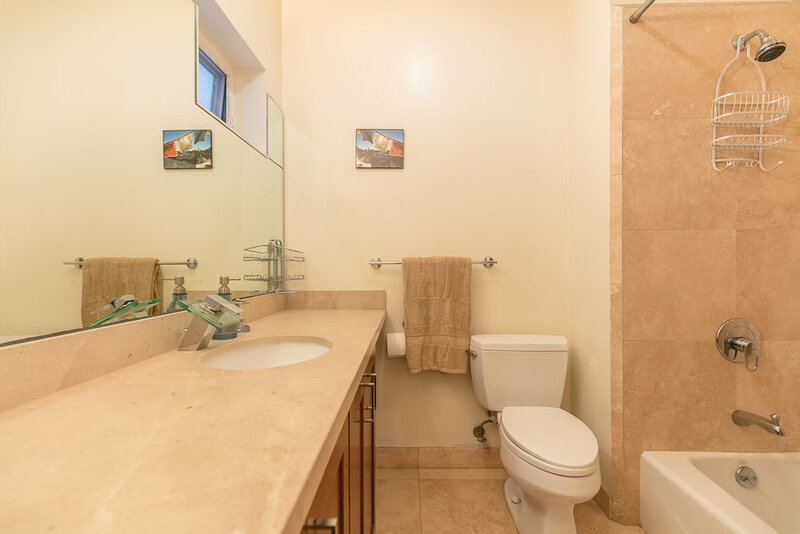 Tastefully upgraded bathroom with updated features. 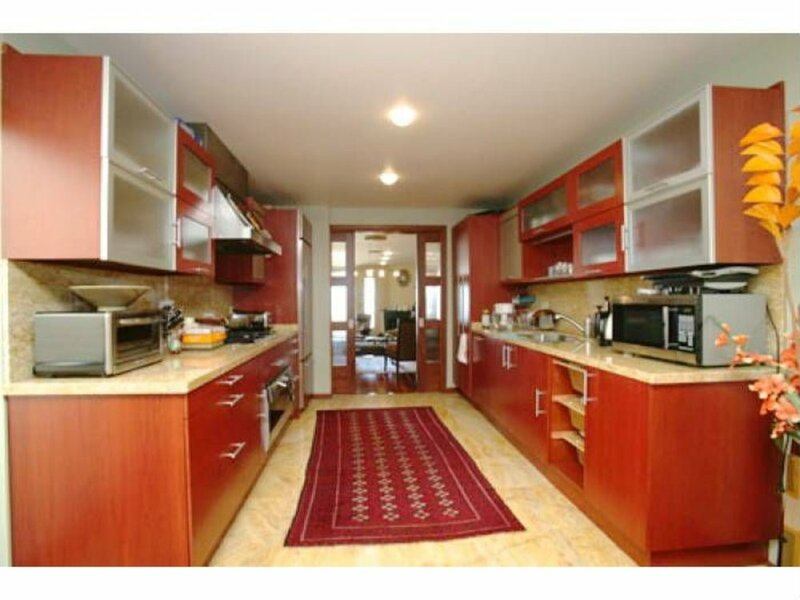 Modern kitchen with wine cooler built into the cabinets great for entertaining guests. Separate room in the home for washer/dryer and storing cleaning supplies. Beautiful landscape in the backyard with flowers in the garden. Plenty of street parking available. Cathedral Hill living at its finest! 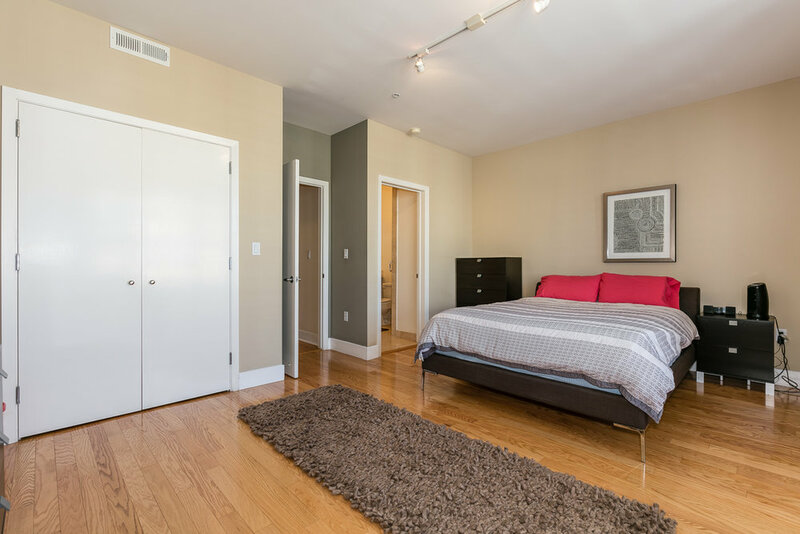 This sleek, modern condominium unit in the VanNess/Cathedral Hill neighborhood is fully featured for your needs. 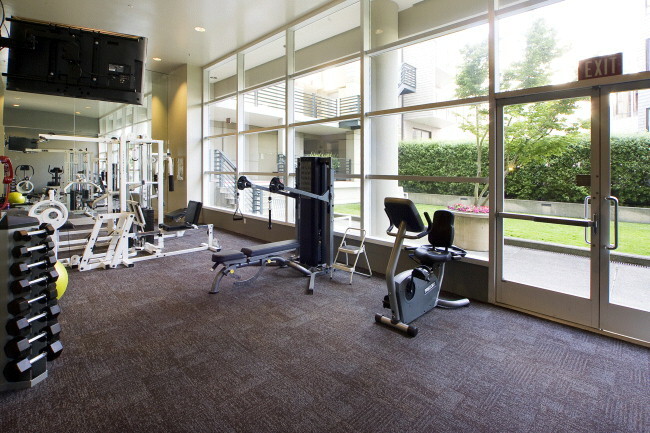 It has a gym with yoga room that overlooks a lovely common garden. 24-hour security is complemented by top-notch management that maintains the building impeccably. Plus, it’s close to more amenities that can be named. This unit has a unique townhouse floor-plan; the upper level has 2 bedrooms and 2 baths plus a large den with French doors. The main level has a combined living room/dining room and a large office/family room separated by a two-sided, wood-burning fireplace. Floor-to-ceiling windows open to balconies on both floors, allowing a tremendous amount of light to pour into this up-to-date home. 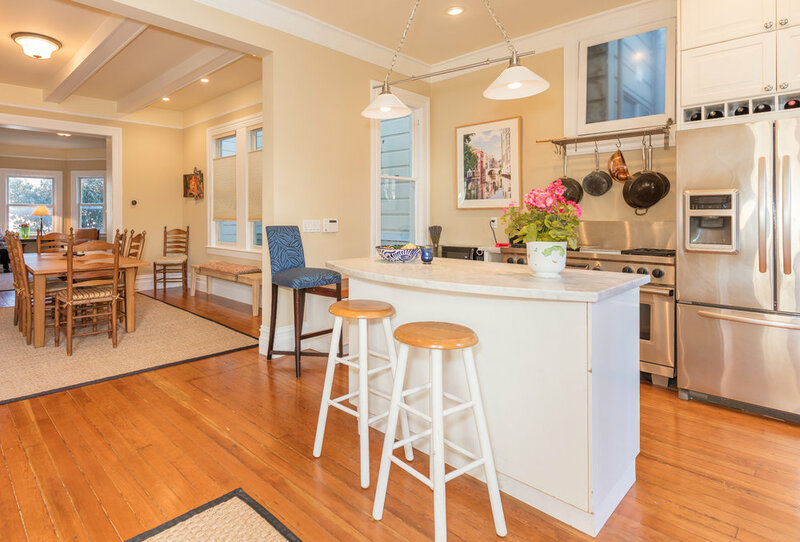 This elegant home in the heart of Noe Valleyoffers a beautiful view of the bay from the living and all the 3 bedrooms; this residence represents modern design. This residence featuring hardwood floors, carpets and elegant chandeliers. 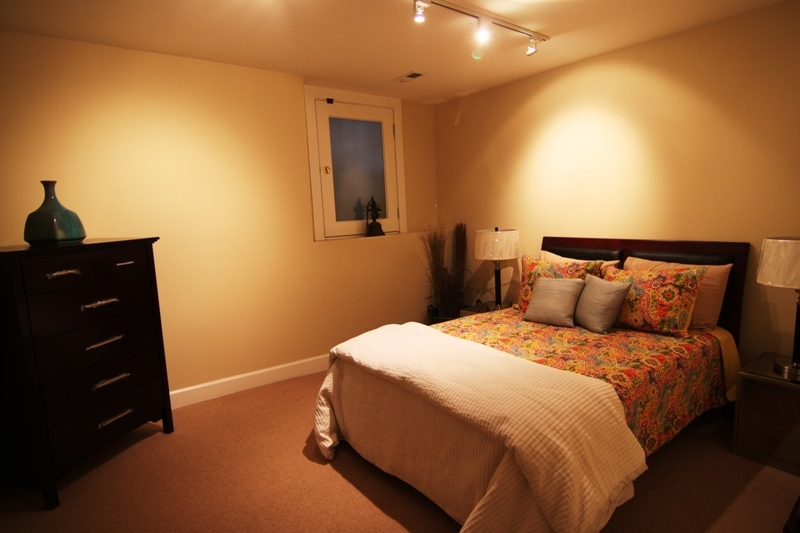 This house has three comfortable bedrooms, 2.5 sophisticated bathrooms. 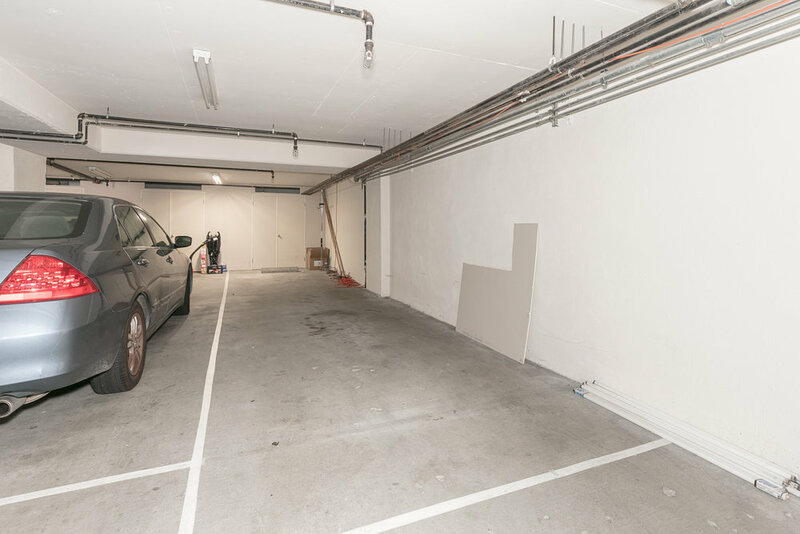 Enjoy the convenience of washer and dryer in unit, 2 car garage parking, cable, phone, internet. 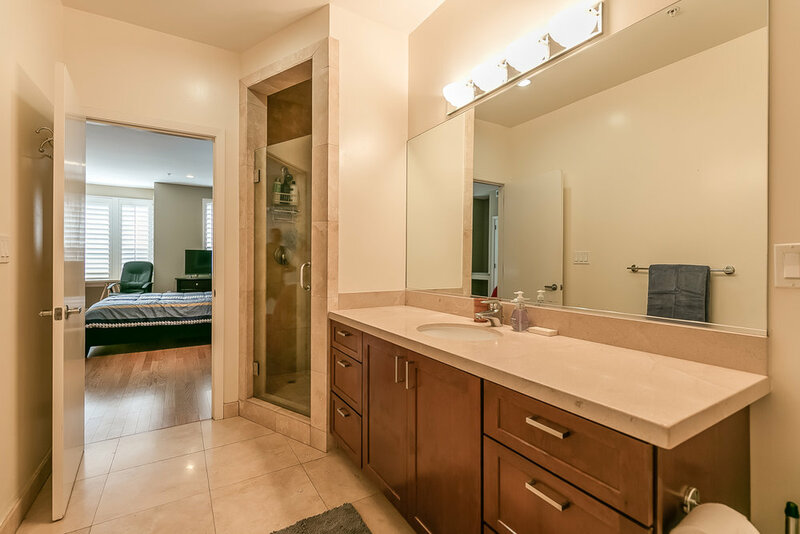 You will not want to leave this peaceful house after a full day of activities, and find yourself relaxing in the Jacuzzi tub in the master suite or using the body jets to ease those sore muscles in the walk in shower. 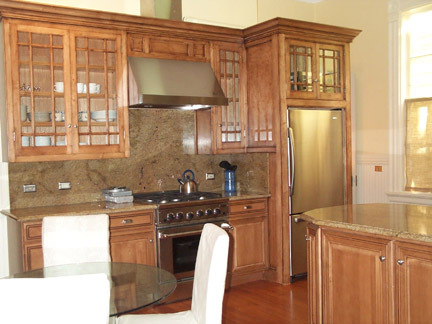 Or you probably will want to cook a seven course meal using the grilled stove with oven, while keeping the professional refrigerator and freezer stocked with your favorites. 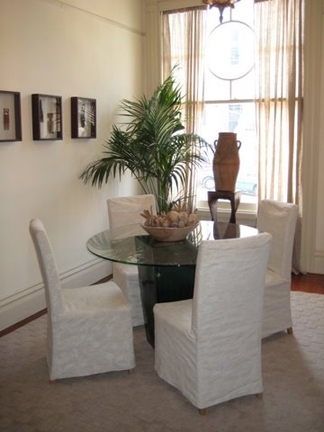 Then there is the formal dining area that seats 10 and the library where you can find a place to sit and read after dinner and enjoy the panoramic view of the Bay and the City. 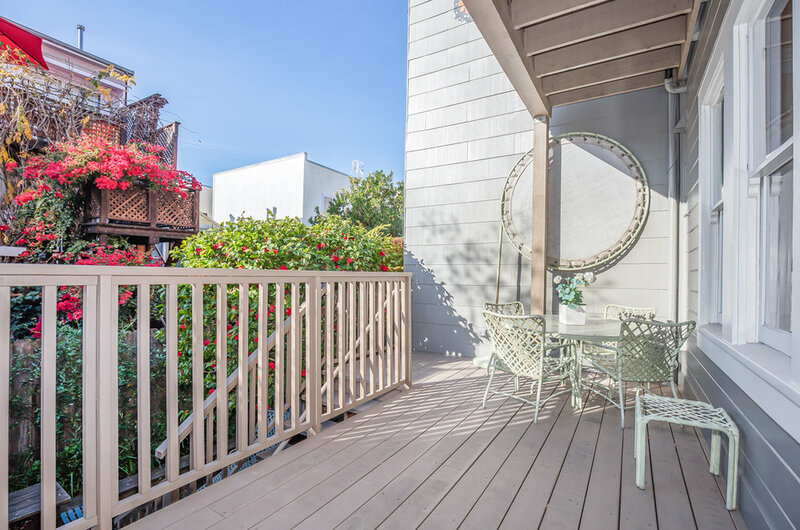 This Lower Pac Heights condo is a classic San Francisco Queen Ann Victorian flat built in 1900. 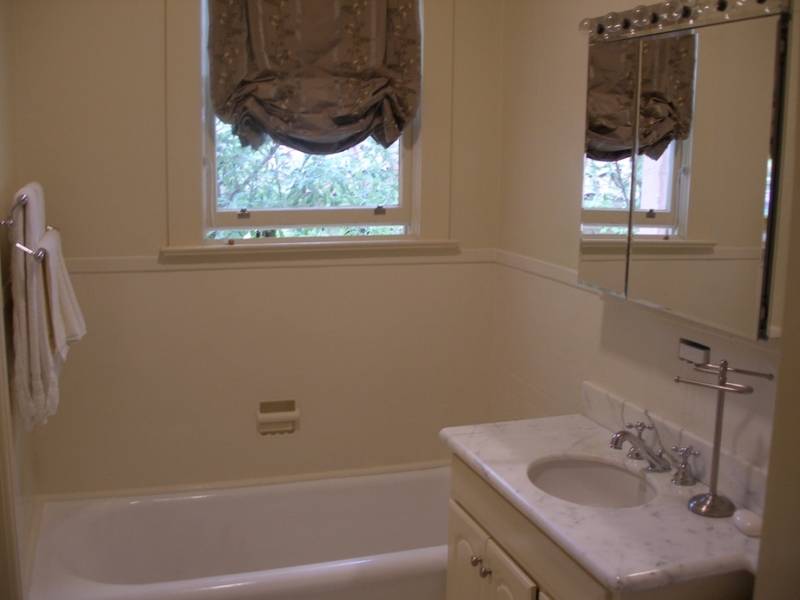 It has many of the original features such as gas lights, clawfoot tub, anaglypta on the walls. 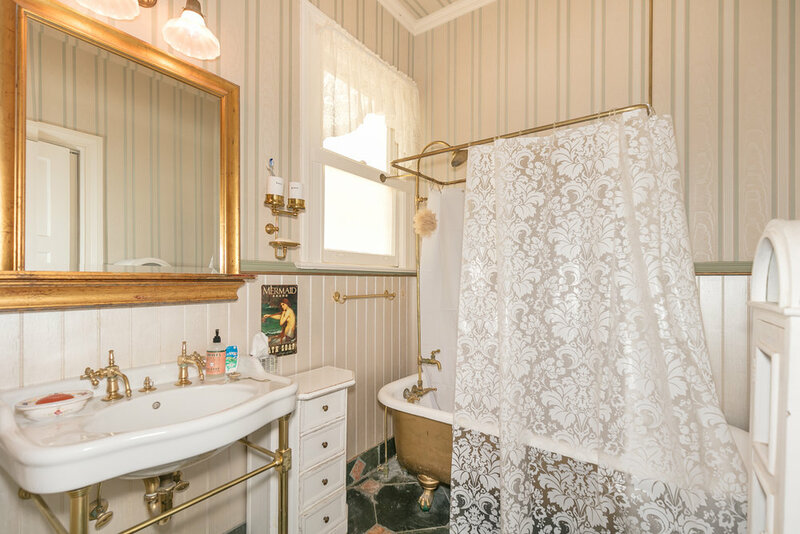 Like most Victorians there is a 1 and a half bathroom. 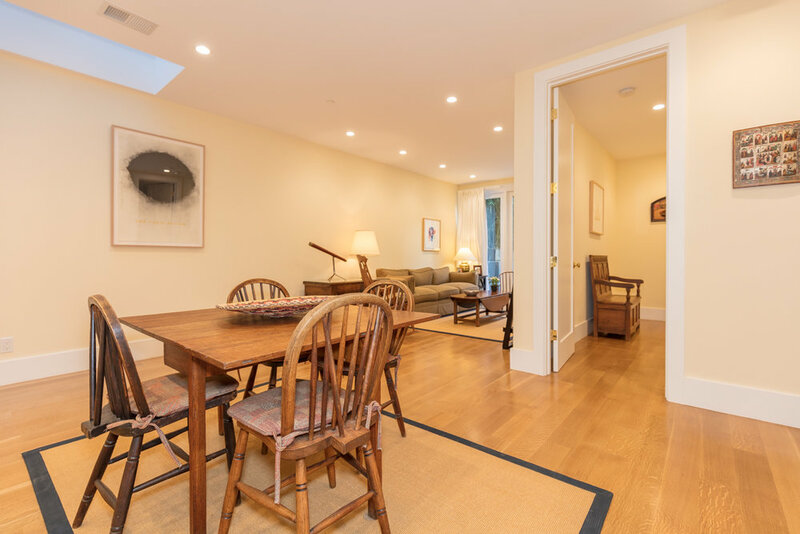 Lower Pacific Heights The neighborhood is known as the “Five-Star Neighborhood” for the wonderful variety of ethnic, continental and fine dining restaurants in walking distance from the condo. 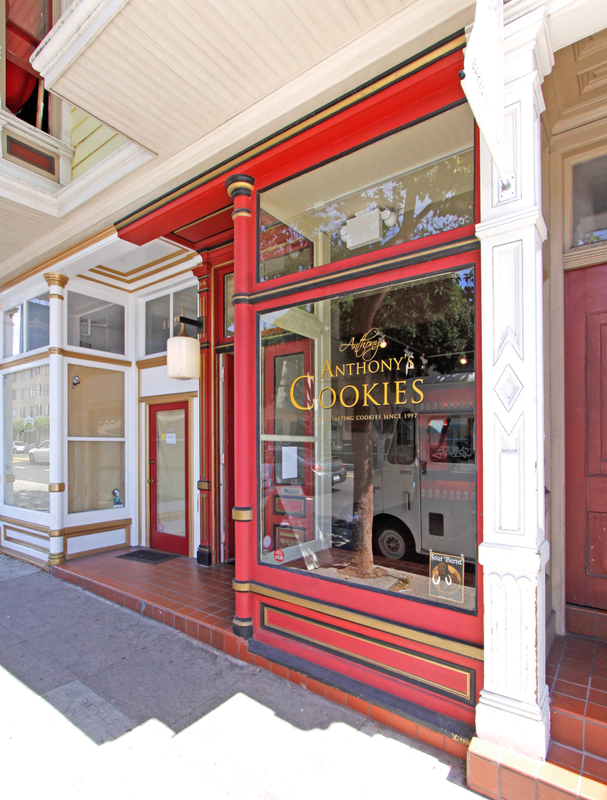 Fillmore Street is lined with European, high end boutiques, wine bars, cafes. There are four theaters in the area, two grocery stores, a Walgreens and two French bakeries. Bus transportation to downtown, Bart and CalTrans are easy to access as are two gas stations. There are public and private schools nearby, two major medical centers, and several houses of worship. Street parking or paid parking lots are available. Japantown is a few blocks away as are music venues like The Fillmore, Boom Boom Room, Sheba Lounge and 1300. 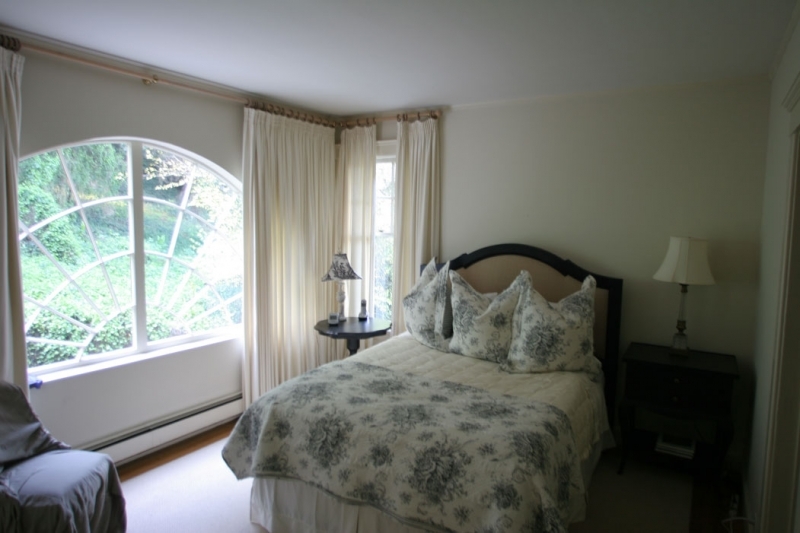 Two of the bedrooms are set up as such with a queen or a double bed. 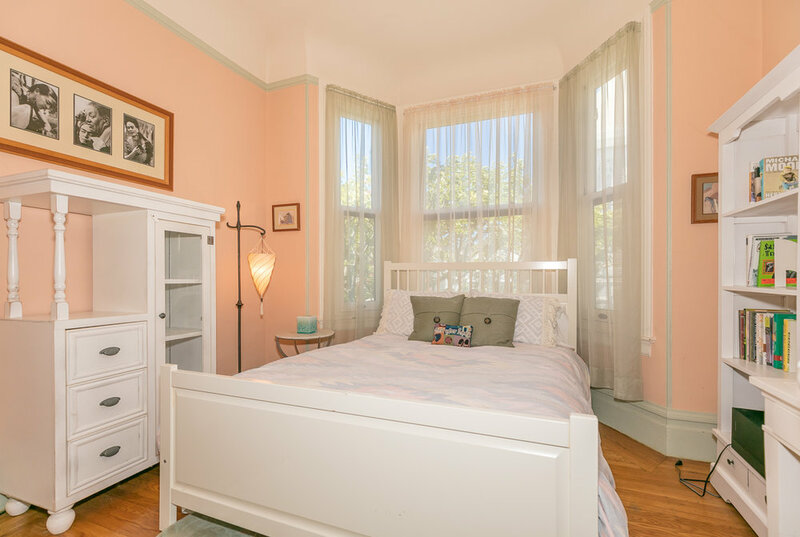 This Lower Pac Heights condo is a classic San Francisco Queen Ann Victorian flat built in 1900. It has many of the original features such as gas lights, clawfoot tub, anaglypta on the walls. Like most Victorians there is a 1 and a half bathroom. 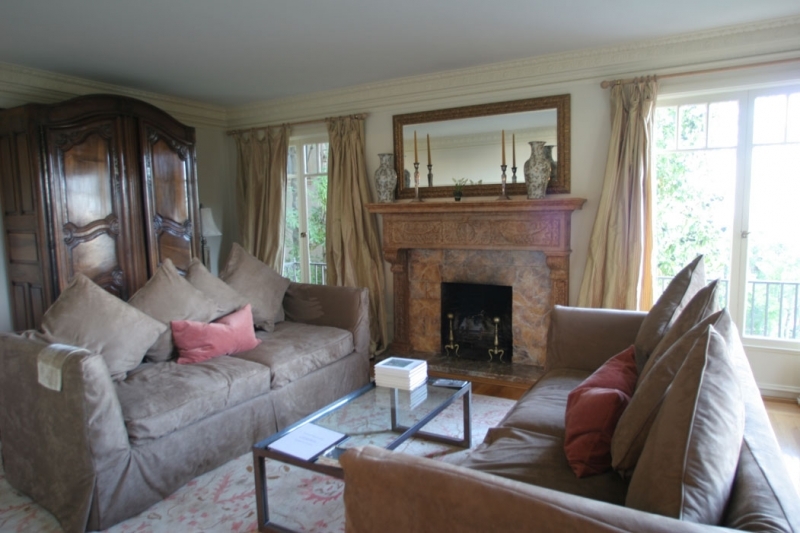 There are two working fireplaces in the living room and the formal dining room. 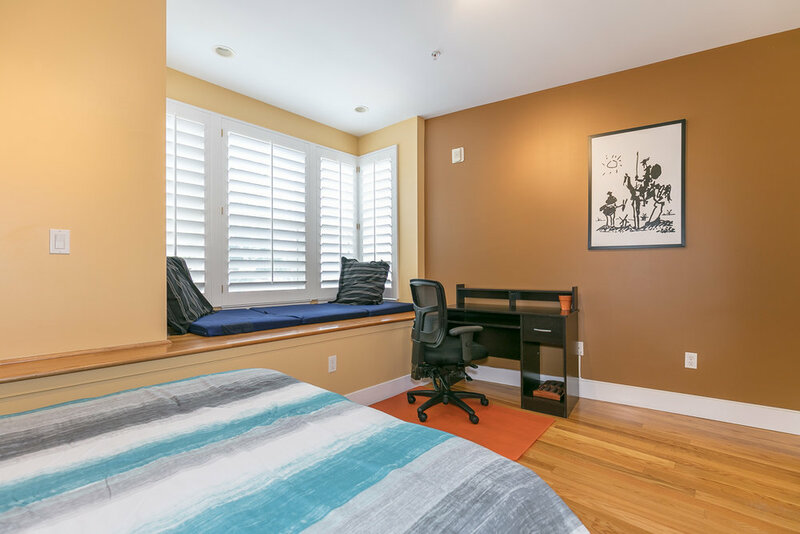 Two of the bedrooms are set up as such with a queen or a double bed; the third bedroom serves as an office/library but can be converted to an additional sleeping space. This is a very sunny apartment with bay windows in the living room, master bedroom and dining room that overlook a lovely garden which is available for common use. It is fully furnished. 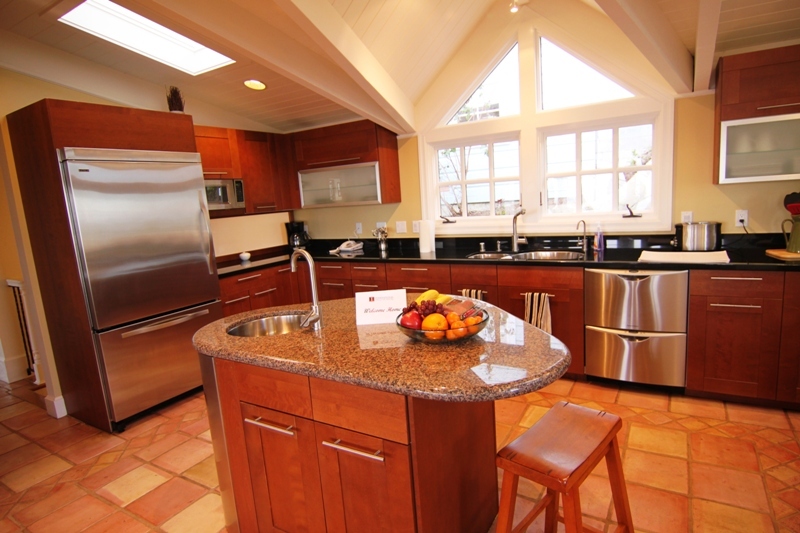 The kitchen is contemporary with mahogany floors, stainless steel appliances and granite countertops. Kitchen is fully equipped. There is a separate laundry room with washer/dryer within the unit. The floors are white Oak and there is new carpeting. 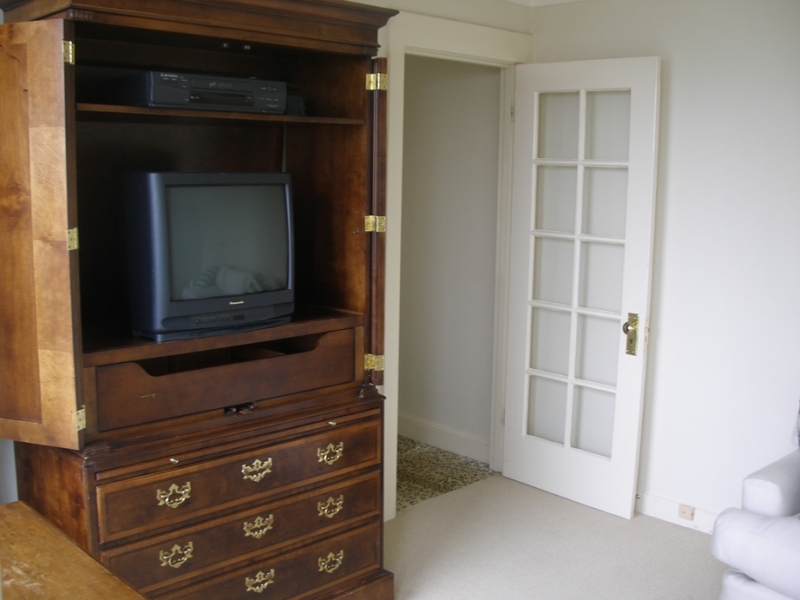 There is central heating (no AC); TV and DVD, radio, internet are available. Sea Cliff is a neighborhood in northwestern San Francisco, California. It is known for its large houses and ocean views. 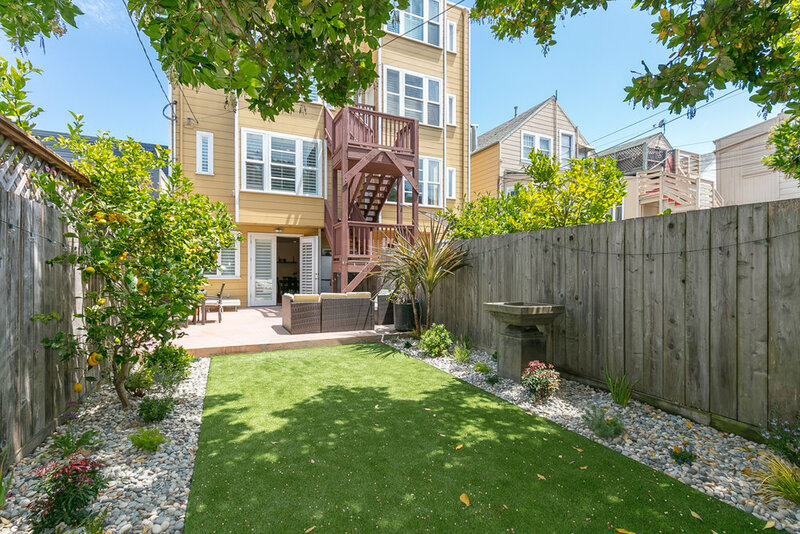 Sea Cliff is one of eight master-planned residence parks in San Francisco; its master plan was developed by landscape architect Mark Daniels. Luxurious single family home built in 1910 and completely redesigned by one of the finest architects. 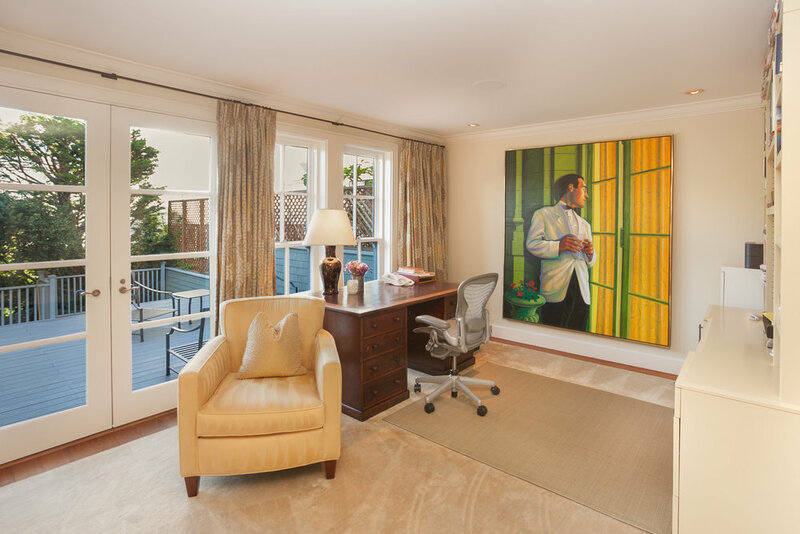 This home is carefully decorated with sophisticated furnishings and art. 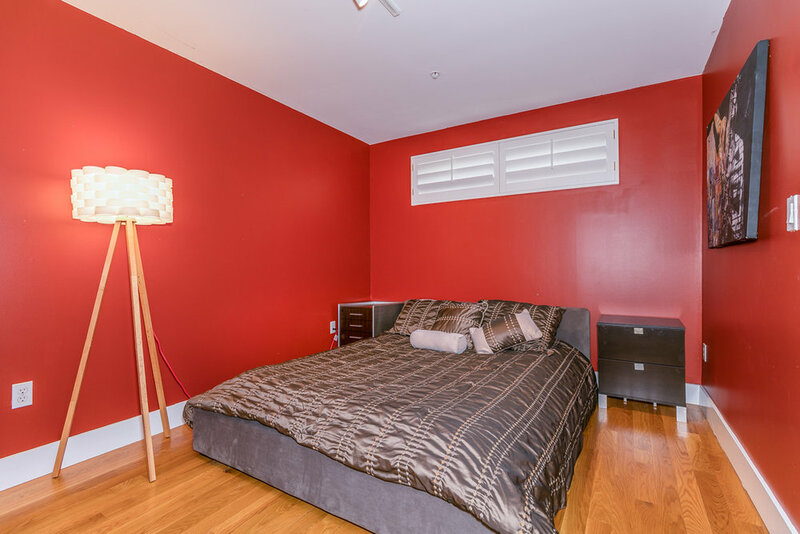 The bedrooms are designed with brilliant color combinations that brings out the characteristic of this lovely home. There are beautiful hardwood floors throughout, a large open floor plan on main level includes living room, foyer, power room, dining area and a gourmet kitchen. A private large outdoor deck and entrance allows the homeowner to enter and exit without disturbing overnight or weekend guests. It has barbecue area, hot tub, yard. The location is a paradise for a family who enjoy nature and easy transportation. 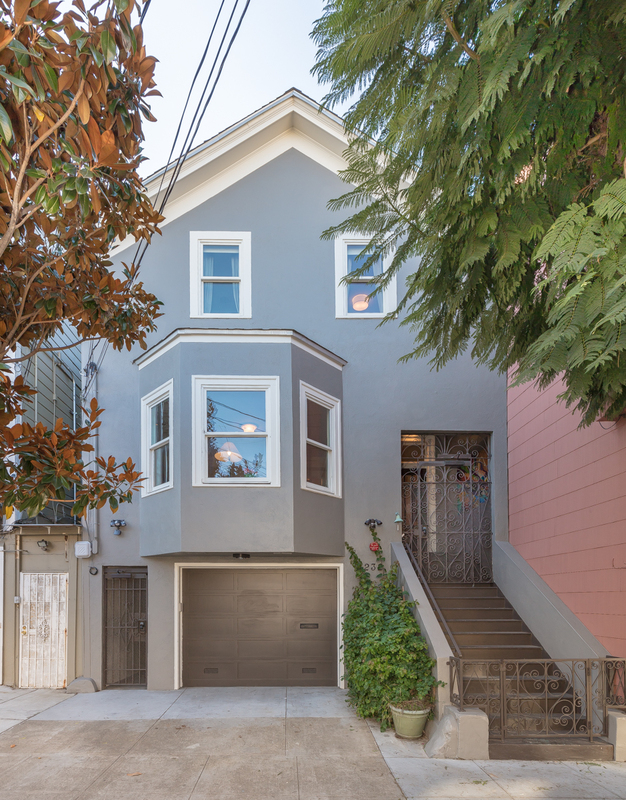 In one of San Francisco’s most prestigious neighborhoods. 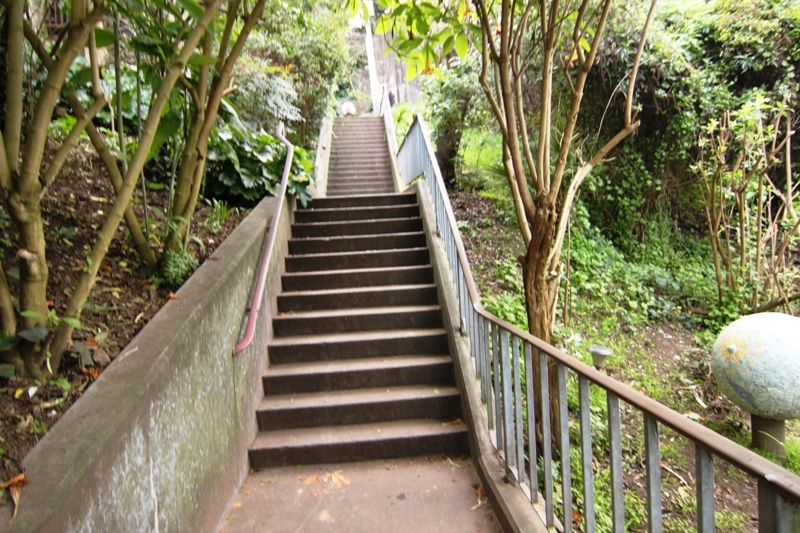 In addition there are plenty of outdoor hiking trails to enjoy between China Beach and Sutro Heights Park. 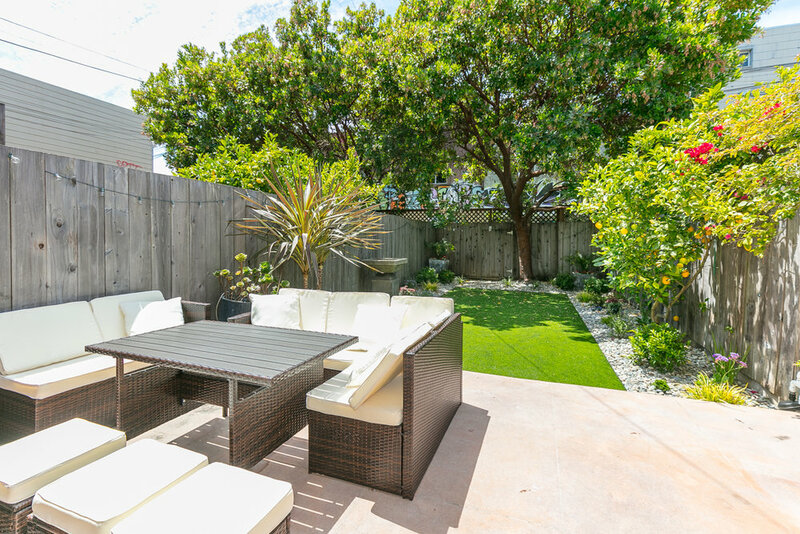 Within walking distance you have Baker Beach, China Beach, Lincoln Park Golf Course and the Legion of Honor Palace. 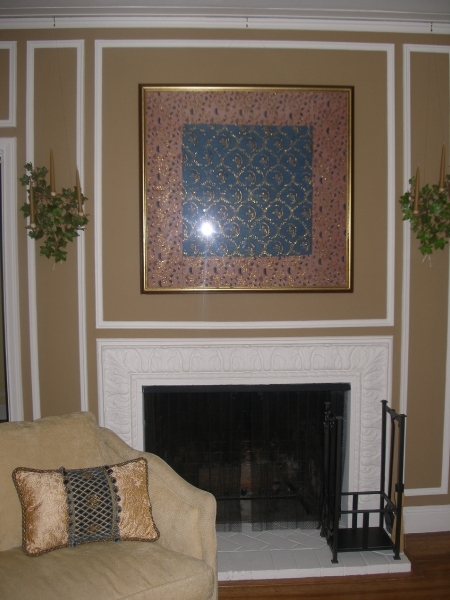 This is a very, rare, exclusive gem that, maintained with much love by the homeowners. 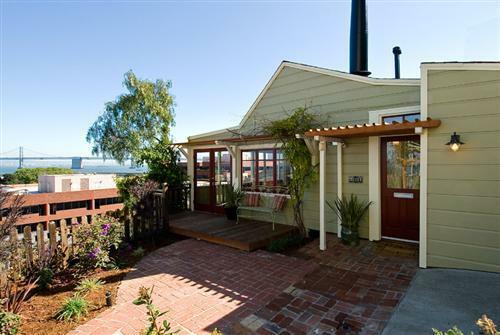 The designer placed emphasis on the panoramic bay views including the famous Bay Bridge on both levels of the home. 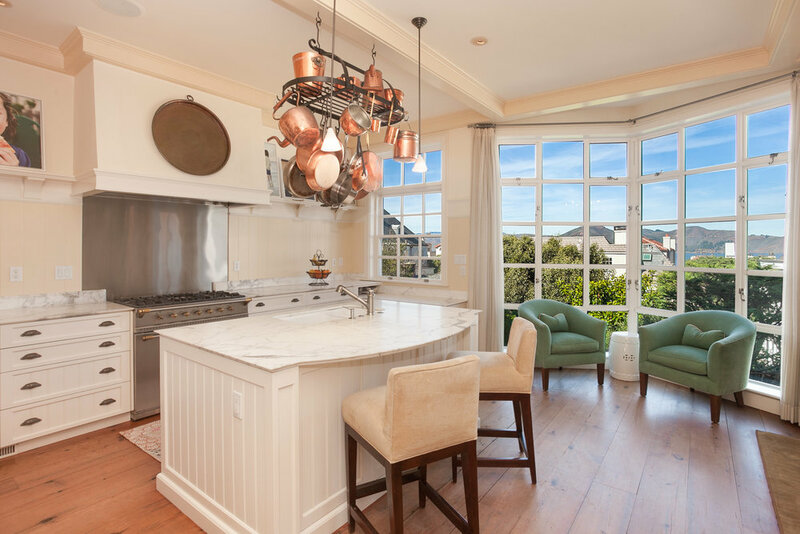 As you enter the house, the kitchen welcomes you with Viking and Fisher-Paykel stainless steel appliances, granite counters, an island with its own prep sink. From here you immediately see the Bay Bridge through the large glass windows. 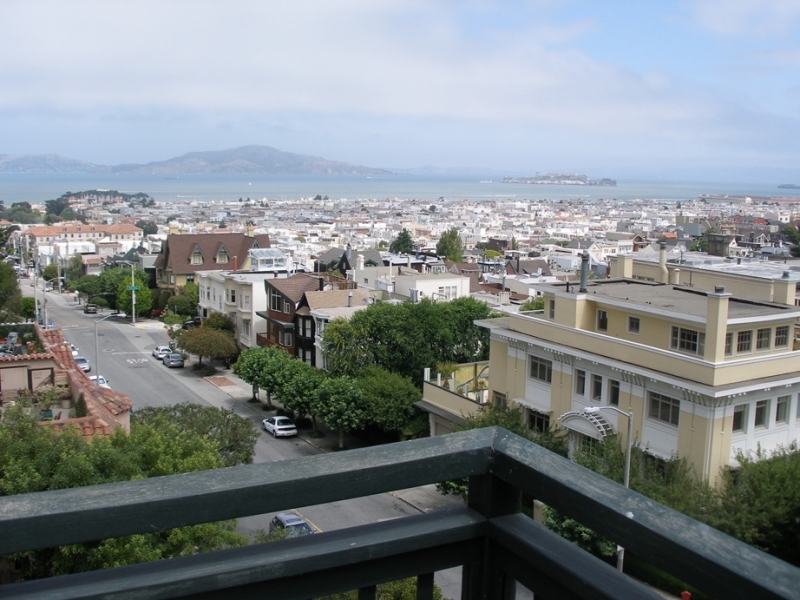 From the living room and outdoor deck, please enjoy the panoramic view of the North and East Bay. Situated on the Greenwich steps, you are surrounded by stairway gardens and the wild parrots of Telegraph Hill. Relax in front of the fire place to enjoy a drink and watch the night lights of the city. 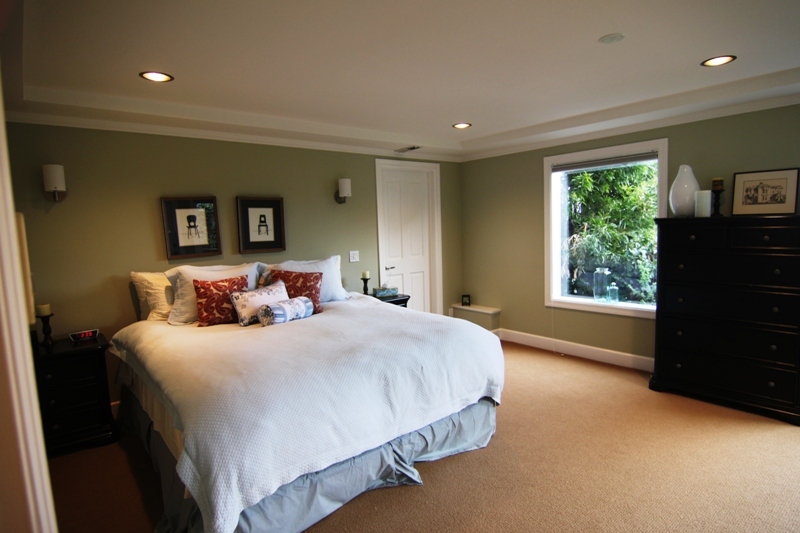 Wake up in the 1st bedroom on the main floor with the sunrise and get changed in the large walk-in closet. 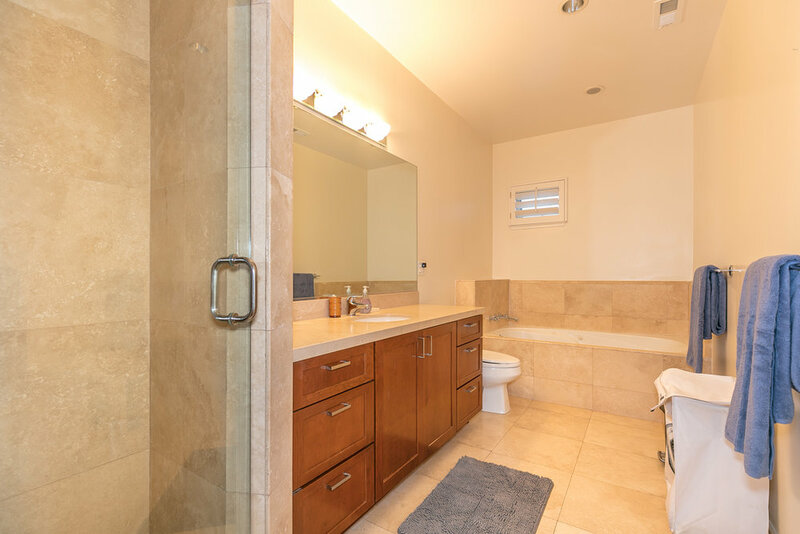 The bathroom features a huge steam shower with multiple body sprays and a thermostatic control systems. Open the french doors leading to the outdoor deck and sit down for brunch and take in the scenery. Go down the stairs to a very large master suite and enjoy the bay views indoor or from a smaller deck. A large walk-in closet with plenty of storage space on both sides serves this bedroom. 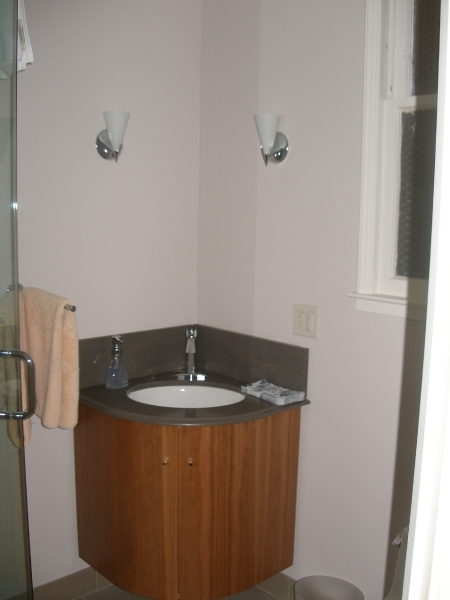 Walk over to the master bath with bidet and shower over jetted tub to relax after a long day. The wine cellar is built into the natural landscape of the mountain. 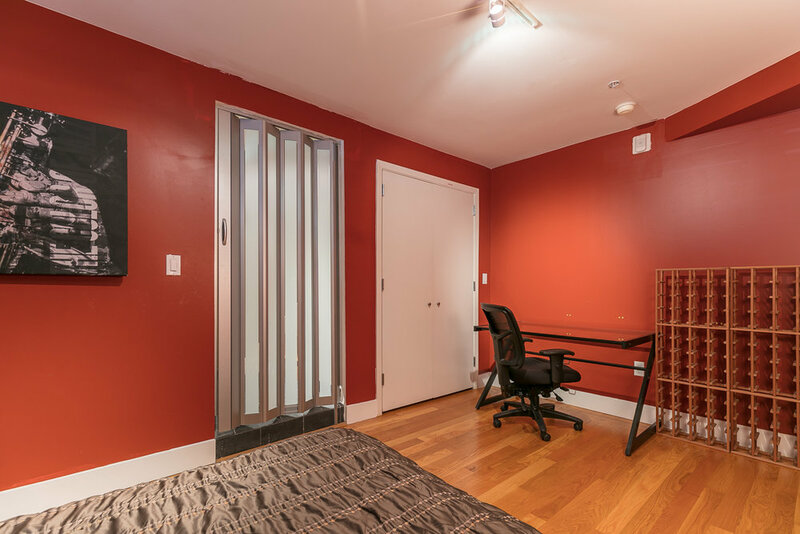 A home office that can be used as a 3rd bedroom and private storage space is also built into the mountain. Washer and dryer is stored in separate room. 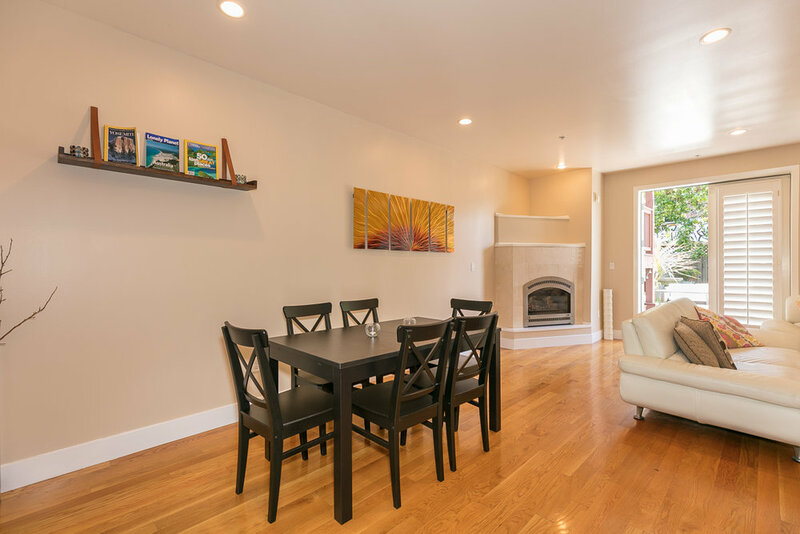 This beautiful spacious home is located in the vibrant Mission District neighborhood, a perfect starting point for exploring San Francisco’s rich history. 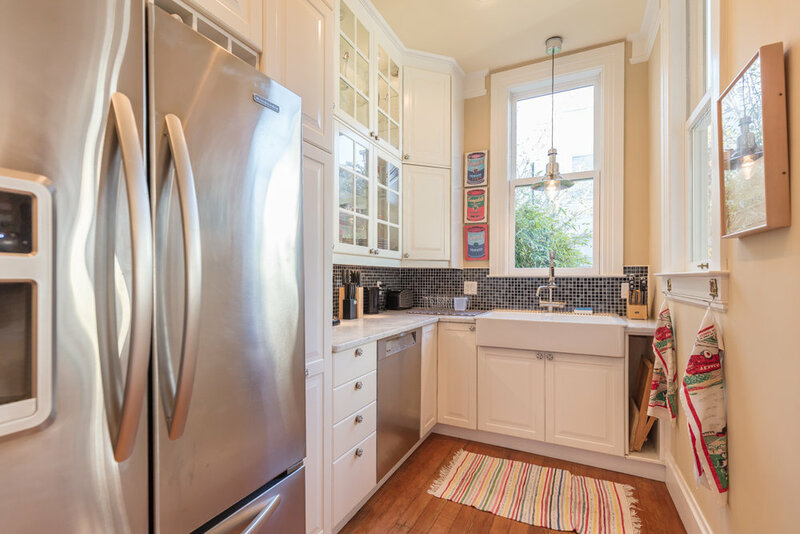 The newly renovated home is originally a 1906 Victorian. The neutral tones and warm light coming through the front windows provide a soothing environment perfect for relaxing after a long day. Easy access to public transportation, playground, park, and more! 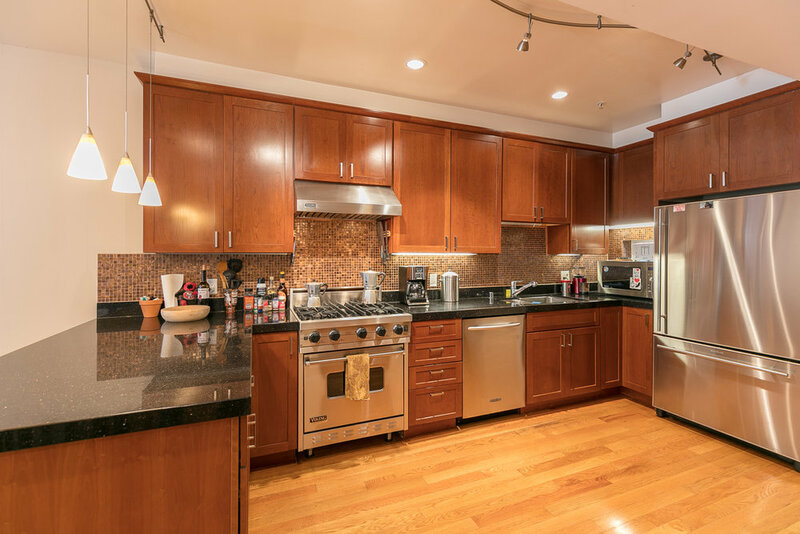 The main floor features a fully equipped kitchen with commercial grade appliances, marble countertops, and an island for displaying brunch creations. Enjoy dinner in the dining room, a movie in the cozy sitting room or fresh air out on the sun deck. With 5 bedrooms (4 queens, 1 king) and 3.5 bathrooms, there’s plenty of room to hang about. Guests will have access to the entire house including outdoor area. Parking is included.